Scotland’s property market has fragmented since the new millennium. In this latest Insight, Queensberry Properties’ sales and marketing director, Hazel Davies, explains the importance of why developers are increasingly tailoring development designs and specifications for particular locations and highlights the forthcoming and groundbreaking New Waverley development in the heart of Edinburgh’s historic old town. Hazel said: “Since the millennium, there’s been a slow but steady evolution in the nature of Scotland’s property market. The general public might not have noticed, but companies at the forefront of construction and property marketing have become acutely aware of its impact. The attention we once paid to national price data and performance has gradually been replaced with a greater focus on local market trends and characteristics. From property design to marketing strategies, a one-size-fits-all approach rarely works nowadays, even for volume builders. “In today’s property market, the word “local” seems increasingly inadequate. After all, it’s possible to review historic selling prices in an exact postcode, rather than having to accept average results across a town or county. Satellite maps and street view photography enable us to see the architectural details which characterise a particular location. And property marketing campaigns have made us more aware than ever of how alluring a particular address or postcode can be. Why tell people you live in Edinburgh when you can say you live in the Old Town, and why stop there if your address includes the words “Royal Mile”? “Talking of which, the new Queensberry Properties’ development in that very location typifies this hyperlocal focus. 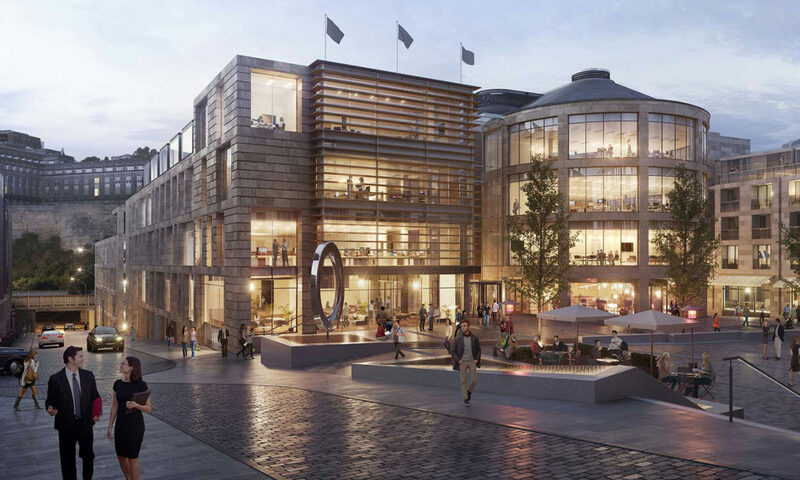 Our contribution to the iconic New Waverley masterplan features architectural designs and construction materials which were chosen for this specific location. If New Waverley was two blocks south on Cowgate, we might have drawn up very different plans. Generic planning guidelines don’t acknowledge the heritage or character of individual sites, which is why planning applications increasingly contain site-specific stipulations. Approval for brownfield regeneration is often directly affected by factors unique to that location – as with New Waverley. “New-build specifications are also increasingly being driven by a site’s location. This trend first became prominent in London, when apartment developments began incorporating gyms, spas and concierge teams to gain a competitive edge over rival sites. However, these features quickly became the norm rather than the exception, and new developments can’t leave them out now. In Scotland, micro markets have also organically evolved over time. Each Queensberry Properties’ development featured on this website has its own blend of unique specifications, from landscaped mature grounds and private balconies to on-site retail amenities and underground parking. “Of course, every element needed to secure planning approval or attract buyers has to be paid for somehow. Buildings with high-end amenities tend to incur costly service charges and off-road parking raises selling prices in areas where spaces are at a premium. Even so, at Queensberry Properties, we understand these design and specification elements are often essential for a development to succeed in a specific location. This site-by-site diversity is required to meet the expectations of planners and customers alike in today’s hyperlocally-focused marketplace”.